The team at Patrick Fields, DDS knows how much home means to you—because home means so much to us. Wouldn’t it be great to smile as much everywhere you went as you do when you’re happy at home? Home is also where you do your part to maintain favorable oral health, and that means taking care of your teeth and gums every day. Our office will take over where you leave off! Keep your immune system in optimal shape with professional checkups and cleanings with us twice each year. We also offer oral cancer screenings, tooth extractions, crown lengthening procedures and nightguards. If you need additional help relaxing in the chair, we offer nitrous oxide for some added calm. We’d be honored to be your dental home away from home! Oral health begins and ends with your gums—that is, keeping them clean, strong, and disease-free. Daily brushing and flossing, watching what you eat, and keeping your appointments with Dr. Fields every six months goes a long, long way. You’ll receive a professional cleaning, a thorough checkup, x-rays if needed, and we’ll answer questions and concerns. 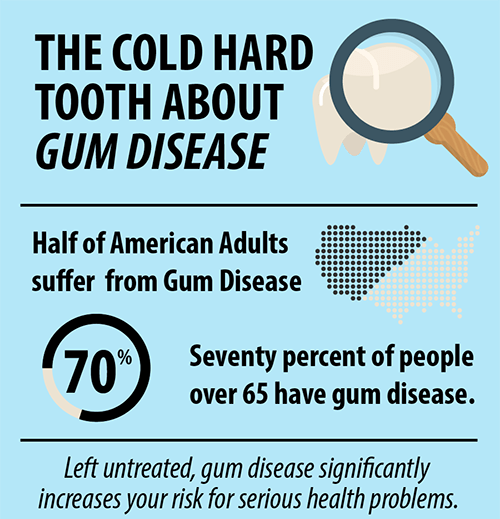 Gum disease is the leading cause of adult tooth loss. Your gums bleeding during regular oral hygiene is a symptom of early-stage gum disease, also called gingivitis. The good news is: gum disease can be reversed! Treatments for gum disease vary from deep professional cleanings (including scaling and root planing) to crown lengthening, which you can read more about below. Crown lengthening—sometimes known as periodontal gum reshaping—is a medical procedure used to alleviate tooth decay, tooth loss, and gum disease caused by inconsistencies. Gum recession exposes tooth surface, forming larger pockets between teeth that allow bacteria to collect. Periodontal gum reshaping removes bacteria and unhealthy gum tissue, sealing the tissue to prevent future issues. Accidents happen in sports—millions of teeth are knocked out during play every year. One-size-fits-all mouthguards available anywhere actually don’t—they also tend to fall out and aren’t comfortable. Dr. Fields can custom-fit your athlete with a mouthguard to keep them safe and focused on the field. Play ball! According to the American Sleep Association, teeth grinding (bruxism) affects 10% of U.S. adults and as many as 15% of American children. That means 30 million people are wearing down their teeth! Patrick Fields, DDS can fabricate a nightguard to help you sleep better and preserve your all-important choppers. We really don’t want to pull your teeth, but sometimes it’s necessary to keep you healthy. We’ve all heard of wisdom teeth—see our Pediatric Dentistry page for more details—but there can be other reasons for extraction, too. Dr. Fields can provide skillful tooth extractions from the comfort of your dental home with us. 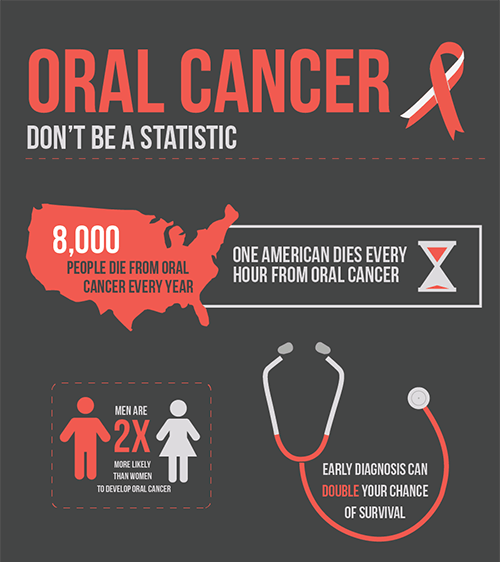 One of the most complicated cancers to diagnose is oral cancer, and as a result, rates are rising rapidly worldwide. Alcohol and tobacco are two of its most common risk factors (users are six times as likely to develop the disease), but recent research has determined that HPV (human papillomavirus) is now the leading oral cancer risk factor. Routine visits with Dr. Fields include an oral cancer screening—let’s all fight this disease together! Call or schedule an appointment online with your Cabot general dentist, Dr. Patrick Fields, today!